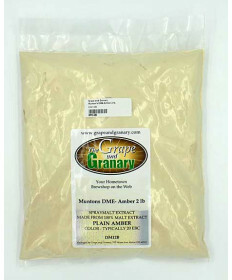 Grape and Granary offers a variety of dried malt extracts to help you achieve your perfect brew. 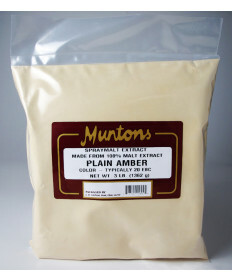 Muntons Dry Malt Extract (DME) is a great way to add additional body and flavor to a home brewed beer and avoid dry, thin or cidery flavors. Using Dried Malt Extract in place of corn or table sugar also helps to increase beer head retention and body. It can also be used to adjust the color of your beer and is available both Barley and Wheat. Additionally, it is common for brewers to use dried malt extract to make yeast starters. 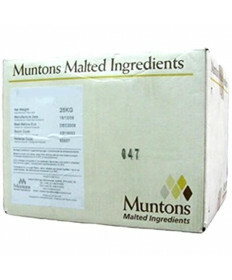 Munton's Dry Malt Extracts are made in the U.K. and produce some of the worlds finest malts. Muntons' has been creating malt extracts since 1921 and is one of the preeminent names in the brewing world. 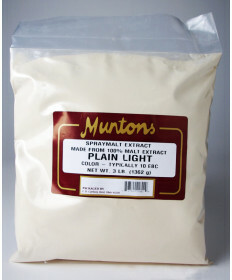 Three pounds of Dried Malt Extract is equivalent to four pounds of malt syrup. One pound of dried malt extract disolved into one gallon of water yields approximately 1.042 specific gravity. 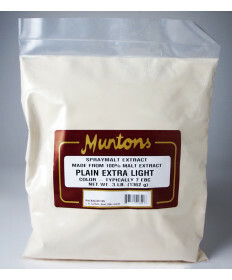 Muntons dried malt extracts are available in 1,2,3 and 55 lb bags.